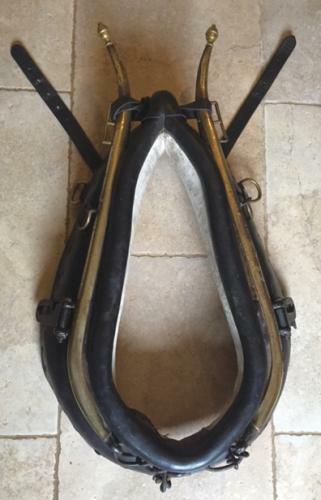 Antique English Large Cart Horse Collar in good condition with original brass Hames and fittings. This is a very hansome collar and the leather has polished well as it has been kept fed in the past. The Hames are wrap around brass which has worn in places but are original to this collar.